Admissions to Doctor of Philosophy (Ph. D) in Design, Management and Technology for the upcoming academic session of 2016 have started in NIFT or National Institute of Fashion Technology. 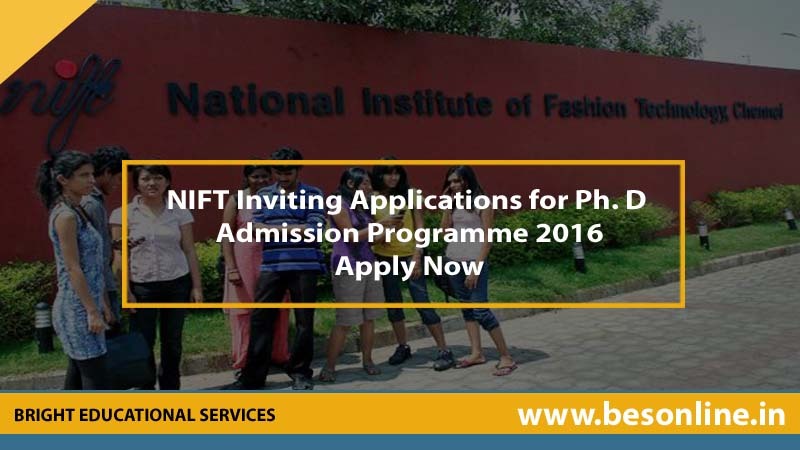 NIFT has invited applications in prescribed format from interested and eligible candidates within April 18th. Applicants must be a post graduate in Design, Management or Technology from a recognized board or university. Forms should be sent through a correct channel so that they reach before the closing date. While applying for the Ph. D course, candidates have to draw a demand draft of Rs 300/- in favor of NIFT, New Delhi, payable at Delhi. Based on a research proposal and personal interview, candidates will be shortlisted.